Cyprus-based Hellenic Bank is readying the first project by its recently unveiled innovation lab – open application programming interfaces (APIs). The initiative aims to enable “open innovation, partnerships and collaboration”, according to Natasha Kyprianides, the bank’s group head of digital banking and innovation. 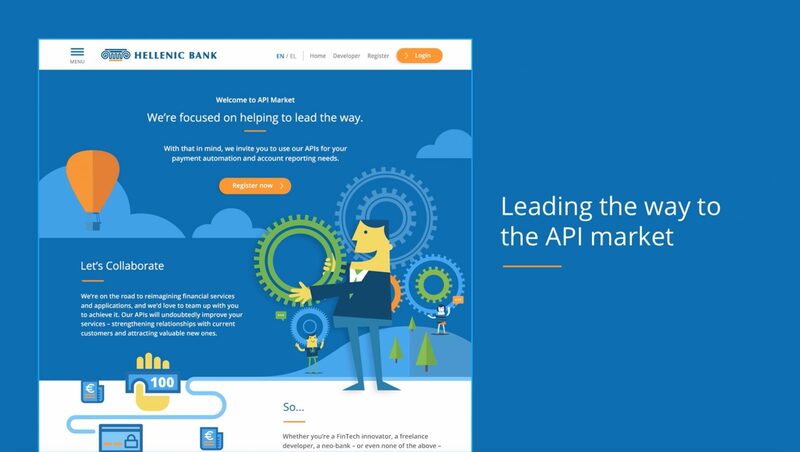 “Our open APIs will let third party software developers kickstart their innovative product – mobile, web and desktop – development, using a realistic fintech sandbox environment, to easily and quickly test ideas,” she explains. Partners can fully focus on creating superior user experience for the end user, “knowing that Hellenic Bank will assume responsibility for the underlying technology and banking services”, Kyprianides states. Kyprianides has revealed that developers are now able to take their products live via its API developers’ portal and cross-sell them to Hellenic Bank customers through its marketplace (i.e. proprietary store), which is built into the business web banking channel. UK challenger bank Starling is to host its first hackathon in April, opening up its API to outside developers. Citi’s treasury unit has launched an API solution for payment initiation, payment status and account balance enquiries through its connectivity platform CitiConnect. Last month, Standard Chartered unveiled its open banking API developer portal for transaction banking. Nordea has recently released the first version of its open banking portal. Saxo Bank is also keen on open APIs. Last November, Wipro launched its open banking API platform. Around the same time, Symphony Software Foundation announced its open developer platform and access to APIs. Hellenic Bank has opened an innovation lab in its home city of Nicosia, Cyprus. These captivating case studies caught our attention in 2017. Natasha Kyprianides, group head of digital banking and innovation at Hellenic Bank, gives the lowdown on how to apply the partnership strategy in practice and achieve real results. Cyprus-based Hellenic Bank is modernising its payments platform with paytech specialist Dovetail (now part of Fiserv). The new solution will support Swift, Target2 and SEPA credit transfers at Hellenic Bank.